Several France based-players played for their respective clubs and set the Fiji Bitter Mokani Sevens tournament alight at the Mokani school ground, Tailevu yesterday. La Rochelle and former Fijian 7s winger Sireli Bobo appeared for Tabadamu as he combined with veteran Nasoni Roko. In the women’s competition, Stade Rennais reps and former Telecom Fijiana stars Litia Naiqato and Lusiana Basei played for Striders. 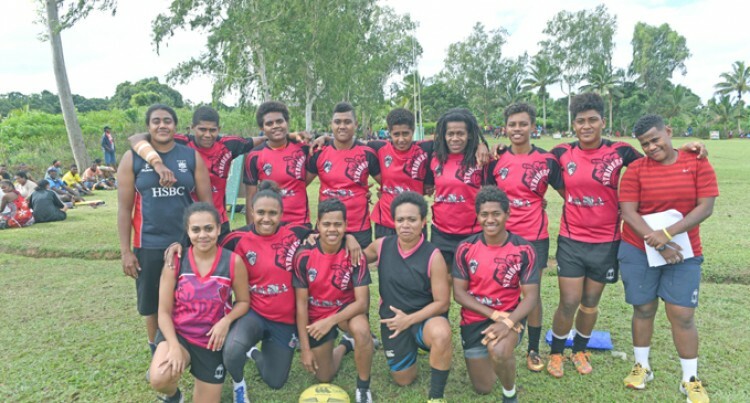 Tournament official Maika Tauribau said every year they value the participation of star rugby players as they help in the development of upcoming players. He indicated that apart from the overseas based- players they were delighted to see former national 7s playmakers like Livai Ikanikoda and Peni Daunimeke playing as well. Tauribau said their 7s tournament first started in 1997 while Fiji Bitter had been backing all their sporting activities since 1987. He pointed out that they are expecting to complete their first phase of construction in August. “That’s the first stage and then we will work on the construction of a multi-purpose hall and finally we’ll work on the fencing. Tauribau said judging from the results Tabadamu and Uluinakau Babaas are favourites to win the $3000 at stake. “But anything can happen in 7s,” he added. Meanwhile, the women and mixed netball competitions continued on at the village ground. Winner: $300, Bowl Runner-Up: $150: Shield Winner: $250, Shield Runner-Up: $50, Best Player: $50.